The complex pattern of Cottonwood limbs near Bobolink was too interesting a subject to pass up. 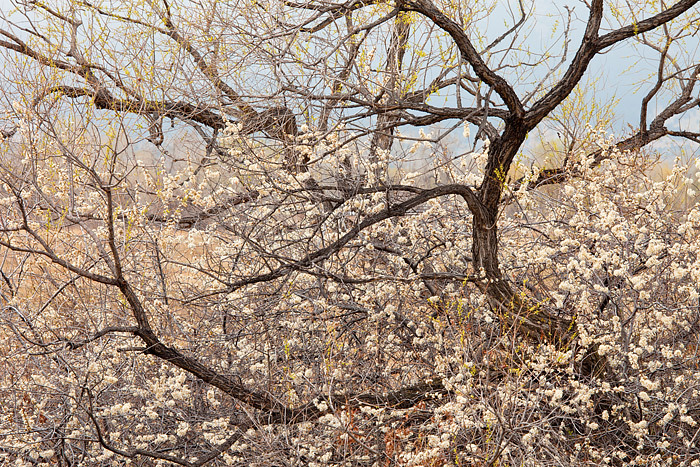 Flowering bushes along the base of the Cottonwoods help to convey that spring has arrived. The Bobolink Open Space trailhead sits east of the Boulder foothills and is home to some great Riparian habitat. Photo © copyright by Thomas Mangan.